At Four Dots, we are not only building great links, but also great tools for intelligent SEO strategies. Working with hundreds of clients month in and month out, SEO agencies like ours typically have to spend a lamentable amount of time on technical work revolving around browsing, creating tables, sorting results and, finally, reporting. All of these can be greatly simplified with intuitive software tools that do exactly what you want them to and when you want them to. Minimize time wasted on boring processes. We’ve designed machines that can do the machine work for you. Reportz is an amazing white-label reporting solution, created with a single purpose in mind: to optimize and simplify the entire reporting process. This tool makes it possible for users to stay on top of their KPIs and influence long-term client and management strategies, by managing and transforming insightful data into powerful, easily understandable marketing reports in record time! With Reportz, you can group your important data and track even the most complex projects from one, centralized location. 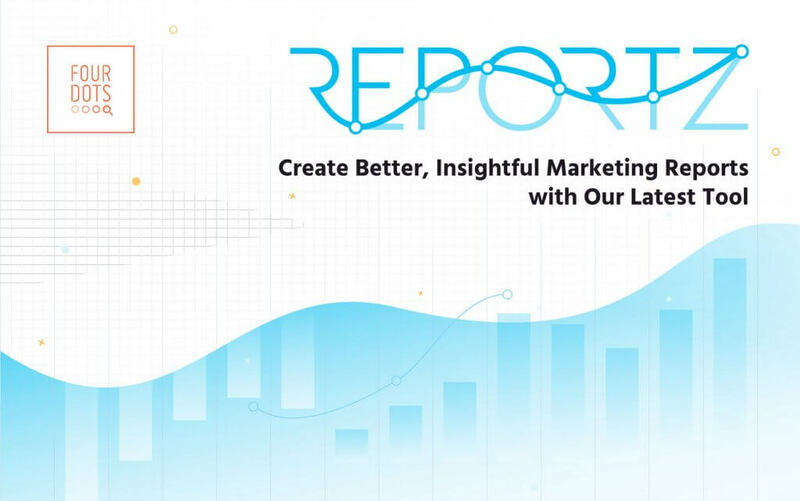 This utility is compatible with all top marketing tools and it has a wide range of preset reporting templates, that make it easy for users to standardize their efforts and create compelling reports in under 5 minutes! Real-time data and tracking for close and precise monitoring. Custom marketing dashboards that eliminate mind-numbing copy-pasting and other unnecessary manual work. A custom widget builder for filtering, merging and displaying all the key data you need when building your reports. Predefined templates for creating standardized and popular reports in a matter of minutes. A simple, intuitive design, that helps you present complex data in ways that everyone can understand. An ever-growing number of integrations with all popular marketing data sources. Report automation for sending regular updates to ongoing clients. Reportz puts an end to your reporting challenges, eliminates the unnecessary clutter and complexity from the equation, and allows its users to easily present their worth to their clients and managers and focus on far more important things! Get this tool at Reportz.io! Dibz is a link prospecting tool developed to help you simplify the process of searching for and assessing link building opportunities for your campaigns. Predefined searches with strings of advanced operators, in combination with the terms you enter, ensure that you’ll get only the most relevant results in the desired niche. You can fine tune the queries as much as you like, or put your faith in our expertise, enter only your main keywords and cruise your way to better rankings. Easily sort through the offered results, dismissing the ones you don’t need and organizing the ones you do. Prospects are presented with a range of useful metrics (some of which you can customize on the admin level) including our own SPAM score, Domain Authority, number of Referring Domains and Pages, as well as social shares. When you find a site with promising metrics, you can easily preview it without leaving our tool, and if you still find it interesting, use the contact email we try to provide for each prospect to move on directly to the outreach phase. Get this tool at Dibz.me! Base.me centralizes all your link building data to help you manage SEO campaigns more efficiently. Sort your link building prospects and add all the relevant data to keep track of your team’s work and progress. You can enter the information on prospects, live links, clients and link builders to keep track of all the most important data in a single tool! Base’s intuitive interface will also make it easier for you to present relevant campaign data to the client and let them know about the progress anytime. Base.me facilitates a linkbuilder’s life by providing a unique space to manage their campaigns, track the team’s work and always have the insight into the most relevant campaign data. Its comprehensive reporting system will help you better communicate with your clients and collaborate more efficiently in future! Get this tool at Base.me!